Following series of beta updates, Apple finally released the final version of its next generation operating system — dubbed the iOS 12– months after announcing it at the WWDC 2018 event. The OS was officially given a September 17 release date at the September 12 Apple event where the new 2018 iPhones were unveiled. Majorly, with the iOS 12, Apple aims to bring on performance and quality improvements in aspects where preceding iOS versions lapsed while also introducing a couple of totally new features. The iOS 12 isn’t the Apple OS that focuses on interface or design overhaul but rather, on making overall performance and usage experience smoother and better than it used to be. So if you’re one who easily got frustrated your iPhone 8 or iPhone X’s performance, the iOS 12 is definitely for you. In this piece, we will be highlighting some of the major improvements and new features the iOS 12 will bring to your iPhones or iPads when you upgrade. Prior to the launch of the iOS 12, rumours suggested that Apple will make older iPhones and iPads faster than they used to be… and it turned out to be true. At the launch event, Apple said the iOS 12 is capable of speeding up application load time up to twice as fast as it used to be. The keyboard on an iPhone or iPad running the iOS 12, according to Apple, will launch up to 50% faster, camera by 70%, and other apps by 40%. With the iOS 12, Apple is looking to change the narrative and belief that new updates slows down older iPhones. So, if there is an old ‘slow’ iPhone abandoned somewhere in your drawers, now’s the time to pick it up and upgrade to Apple’s latest OS. Formerly, on the iOS 11, Apple maxed Animoji and Memoji recordings at 10 seconds. Upgrading to iOS 12 will up record time to 30 seconds. 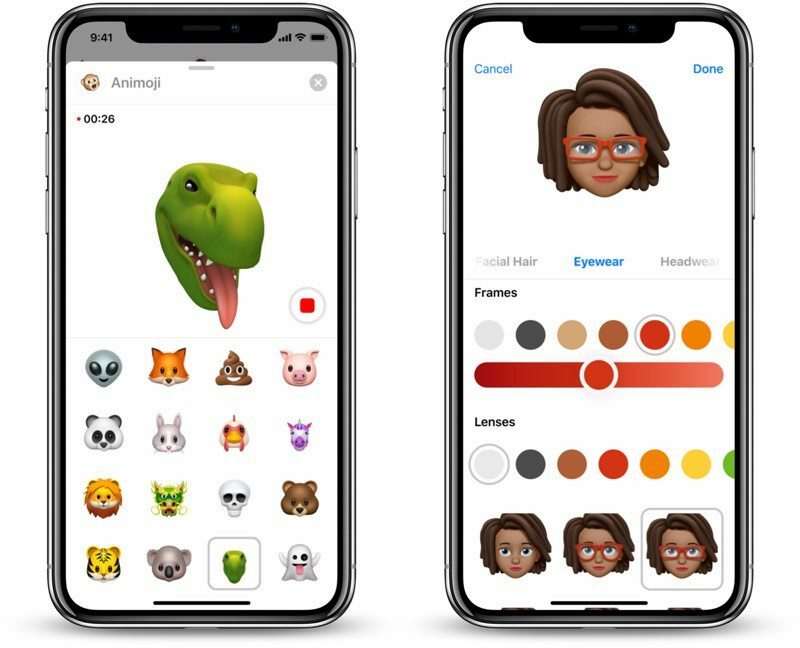 In addition, new features like tongue detection, wink detection, and other new options have now been incorporated into Animoji. Memoji is a totally new feature that allows users create unlimited personalized Animoji in Messages and FaceTime. Users can create multiple looks with the freedom to customize facial features like eye color, eyebrows, facial hair, glasses, hairstyle, headwear, nose etc. Memoji is however supported only on older and new 2018 iPhones (iPhone XS, iPhone XS Max, and iPhone XR) with a TrueDepth camera system. 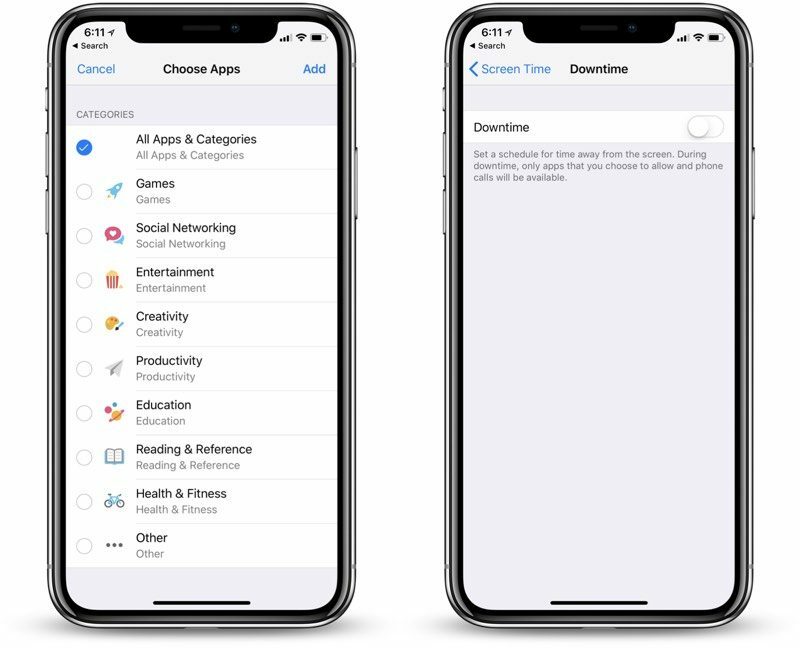 Screen Time is a new feature that will be incorporated in your device’s settings menu when you update your old iPhone to the iOS 12. Or come with your new iPhone that comes out of the box with the new OS. 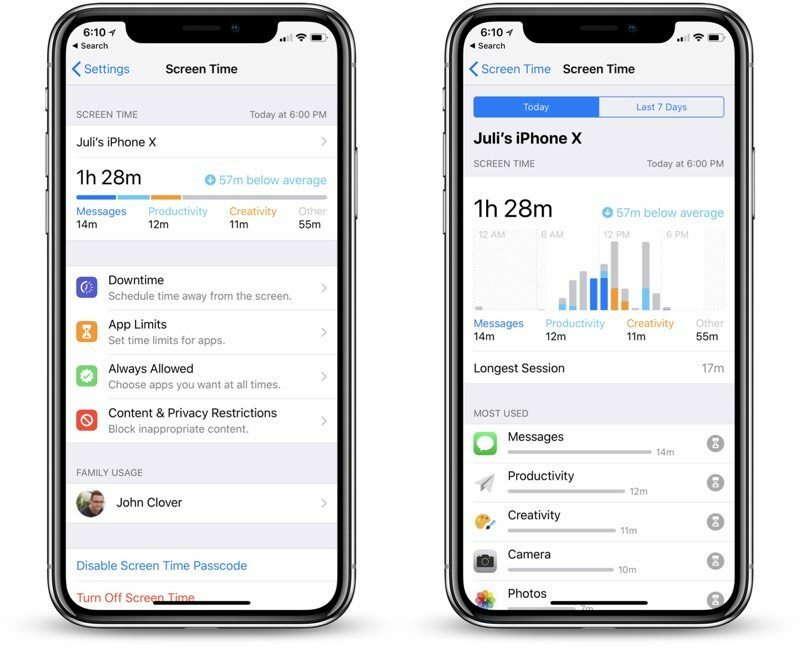 With Screen Time, Apple gleans usage data to provide insights on apps you use on your iOS devices, time spent on each apps, apps sending notifications the most, how often you pick up your devices, websites you visit, and a lot more information on how you use your phone. As an icing on the cake, Apple sends users a weekly Activity Report for reviews purposes. On the new Apple OS, Do Not Disturb feature have undergone impressive enhancements like Bedtime mode and incorporation with Siri. Bedtime mode for example will rid (hide) your phone’s display of all (sound and visual) notifications to reduce disturbances while you sleep at night. When Bedtime mode is active, all that is displayed on your lock screen is just time and date. Per apps that gets their notifications hidden in Bedtime mode, exceptions can be created. Apple calls it “Critical alerts”, and it basically allows you give access to any app(s) you want to breakthrough the Bedtime mode notification restrictions. So if you want to receive ONLY email notifications while you are trying to get some sleep, the iOS 12 update makes that possible. With just a tap, Bedtime mode can toggled off in the morning. When deactivated, all hidden notifications will roll-in accordingly. Ever felt you are addicted to your phone and need some time away? ‘Downtime’ on the latest iOS 12 update helps you get some alone time away from your phone. Available on iPhone and iPad, Downtime allows you make use of your device to make phone calls and use selected apps of your choice. ‘App Limit’ on the other hand is more of a time management feature that allows you set a time limit for app usage. You can set a timer for your Twitter app for example. When the time you set clocks, it notifies you to quit the app and move to something else. Or perhaps stop using your phone entirely. Group FaceTime, a long anticipated features will be coming to the iOS 12. An an update to FaceTime, up to 32 individuals or participants will be able to partake in an audio of video chat wither on their iPhone, iPad, Apple Watch, Mac PCs, and Apple HomePod devices. Only Group audio chats is available on Apple Watch and HomePod, because, of course, they lack the hardware (read: camera) required to make or join a group video chat. 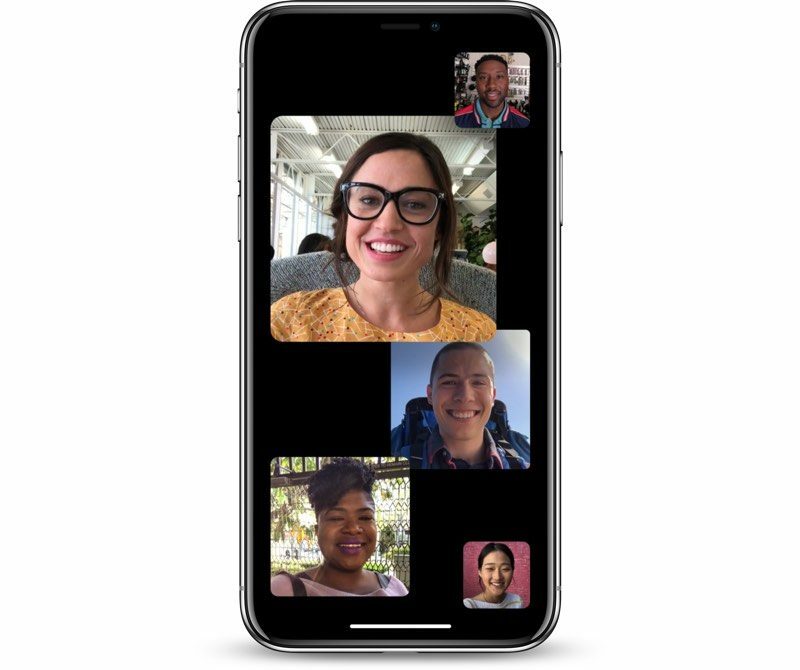 Group FaceTime chats displays the participants in a tiled view with the biggest tile (size-wise) representing the individual speaking at the moment. In lieu of the Tiled view, Focus View allows you select the participant you want focused on your screen by double tapping on the person. The GroupTime isn’t included in the new iOS 12 update as Apple withdrew the feature in the seventh beta version to (maybe) perfect it. The company however promises that it will be released as an update (perhaps iOS 12.1) before the year runs out. The iOS 12 update comes with other interesting features like shortcuts for Siri and Siri suggestions; improved search feature, shared suggestions, and a ‘For You’ tab in the Photos app; iCloud integration with Voice Memo; ‘Reading Now’ section in the Apple Books (formerly iBooks) app; and Security enhancements like Password suggestion, password/security code autofill, and password auditing. 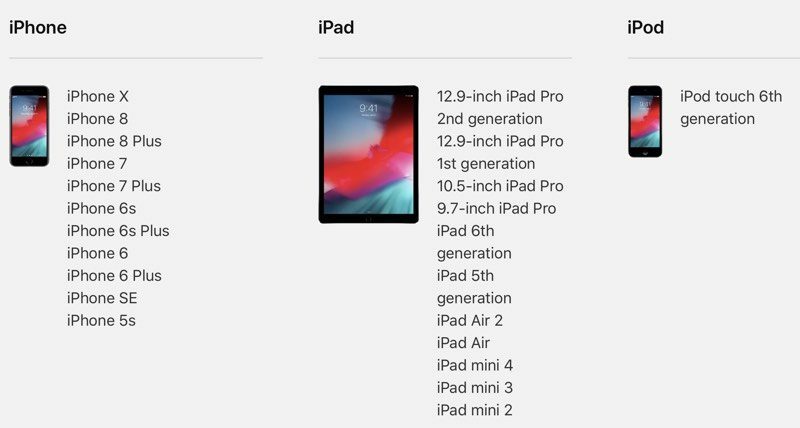 The iOS 12 is compatible with the newest iPhone down to the iPhone 5S, the latest iPad Pro down to the iPad mini 2, and he 6th gen iPod touch. Generally, the iOS 12 is more like a stable and more reliable version of the iOS 11 as it majorly brings upgrades to existing iOS 11 features and little but of new features.